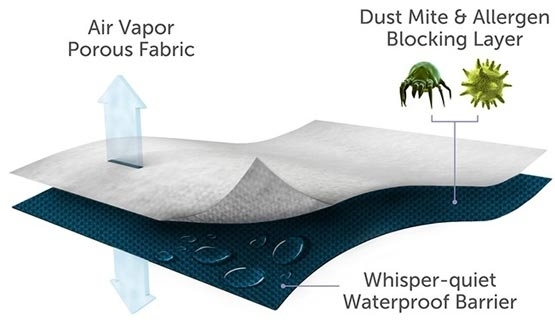 Protecting your pillows from moderate spills and stains. Best for spills, it is super absorbent. 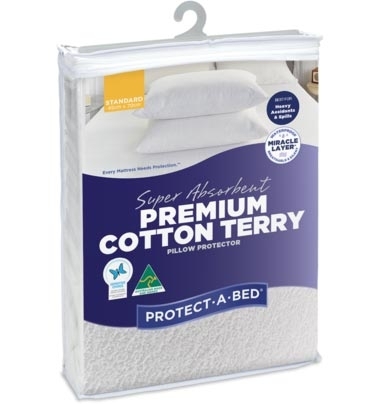 This Super Absorbent Premium Cotton Terry Waterproof Pillow Protector is made from 80% Cotton, 20% Polyester with absorbent sleep surface. It Protects your pillows from moderate spills and stains. 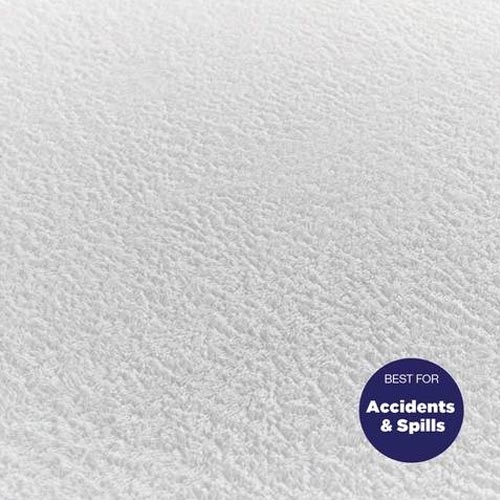 Terry towelling is best for spills, it is super absorbent. Cotton is hypoallergenic, as it is a natural fibre. The ultimate waterproof, yet silent and breathable, skin that protects and shields. The zipper system is designed to protect against from allergens, dust mite and mould.